Thunderstorm chances will be increasing late Saturday evening across portions of North and Central Texas. Some isolated strong to severe storms will be possible. A stalled cold front across North and Central Texas will lead to several rounds of heavy rain beginning late Monday through Friday. 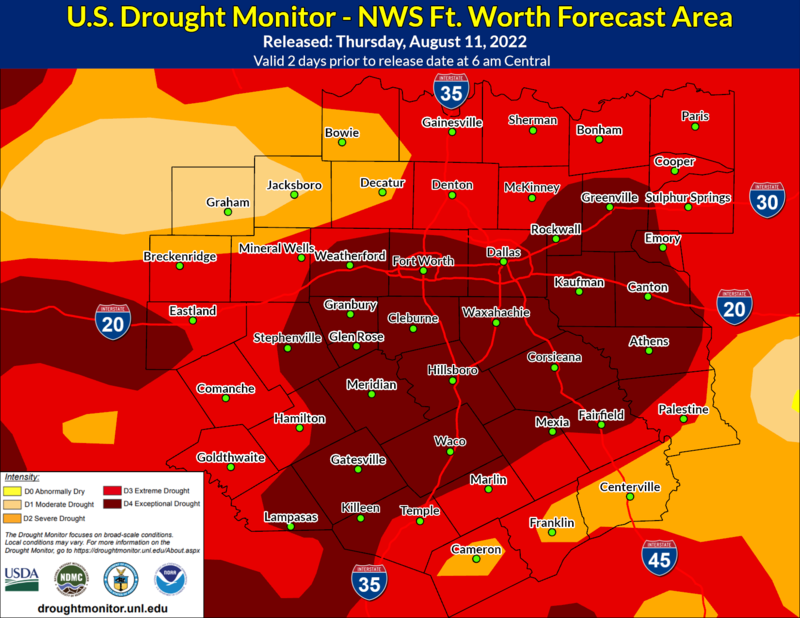 It is yet too early to dive into specific timing, but North and Central Texas residents should remain weather aware through the week as the heavy rain may increase the potential for flooding. Severe weather will also remain a threat, especially Tuesday afternoon. Here's today and the weekend outlook for North and Central TX. Expect plenty of sunshine and high temperatures in the 70s and 80s. There is a chance for some showers and thunderstorms Saturday night though early Sunday morning, mainly across the Red River Counties. With possible severe weather across our northern counties this late this weekend and again by the middle of next week, now is the time to understand your severe weather terminology regarding forecasts, watches, and of course, warnings. Have a plan and understand what each of these mean when they are issued for your area. As the weather warms up in the Spring and Summer, many like to take to the outdoors for family activities. Remember, if thunderstorms are in the forecast to follow these simple lightning safety rules!